Our range of addressable fire alarm systems helps in detecting fire early, wherein all loop devices in the system are individually addressed to provide the panel with absolute unique identification of each device. Manufactured from quality-tested components, these addressable fire alarm systems are known for its quality and high utility. 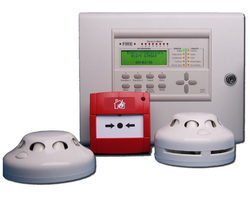 Moreover, our addressable fire alarm systems can be integrated along with building management system, CCTV and Access Control systems ensuring total safety and. Enriched with years of industry experience and our expertise, we are trading and retailing Electronic Fire Alarm System to the clients situated all around the nation. Equipped with electronic components, these fire alarm systems are fully compatible and are available in various specifications. 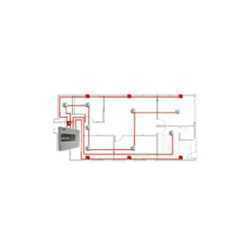 These electronic fire alarm systems are fully tested for their functionality in the adverse conditions and then these are made available in the market. 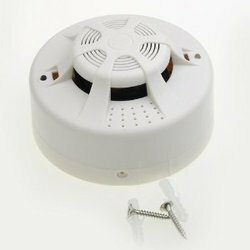 We are very well known in the domain of trading and retailing Smoke Detector Alarm System. As their name implies, these alarm systems generate a warning signal or beep sound in case there is the slightest hint of smoke in the locality or the institution. These alarm systems are highly durable and incorporate all the vital components required for their hassle free performance and that too for long period of time. Fire Detection System in India or Fire Alarm Systems (FAS) are an early warning system for industrial or residential complexes. 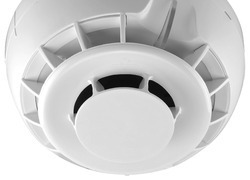 A Fire Alarm System is a passive system, meaning it does not stop the fire from spreading. It means that the Fire Alarm System does not actively fight the fire. The main function of a Fire Alarm System is to give an early warning, that the fire has taken place in the factory or residential complex. This means that, the people in proximity to that area have an early warning to evacuate the building. However the fire will continue to burn, unless if an active system like Fire Hydrant System or Fire Sprinkler System is engaged. The second function of the Fire Alarm System is to, alert the responsible authorities. Here the authorities may be the local Fire Department or the Emergency Action team. The third function is to support the Fire Brigade, when they enter the building on fire. A Fire Alarm System also provides necessary emergency lighting, so that the Fire Team can navigate through the smoke and the dust. 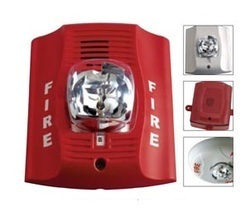 We are an unparalleled name, engaged in offering a premium quality range of Conventional Fire Alarm System that is widely used to indicate the alarm condition of fire. 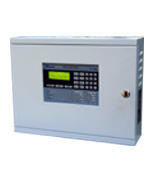 This alarm system is designed for use within fire alarm systems, security systems and industrial signaling systems. It is provided with heat detectors, smoke detectors and sensors in order to analyze the incident and the control to obtain the message and impart alarm output to the hooters with the demonstration of accurate fire location. 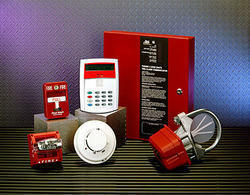 Our precious clients can avail the offered Conventional Fire Alarm System at reasonable price from us. Our Ingredient of Automatic Security Fire Alarm System is made of genuine products – mostly meeting international certifications and standards like UL, FM, EN, BS, BIS, TAC etc.. Taking buyers safety and security into account, we install Fire Alarm System - both Addressable as well as Conventional types and at very cost effective rates. These are being used by innumerable people with superb performance at their required places, be it an Entertainment place, Office, Factory, Power Stn. etc. In order to meet the rising demands of the clients, we are trading and retailing Fire Alarm System of high quality and available in technically effective range to the clients. These fire alarm systems are basically used for the generation of the signals in case of the fire accidents or eruption of fire. Avail from us qualitative range of these fire alarm systems which has been stringently tested for their quality in various industry laid parameters. 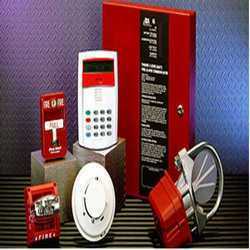 Apart from this, these fire alarm systems are compatible and available at legitimate prices. An automatic fire alarm system–typically made up of smoke detectors, heat detectors, manual Call Points, audible warning devices, and a fire alarm control with remote notification capability–can provide early warning of a developing fire. Such a system, however, does not assure protection against property damage or loss of life resulting from a fire.